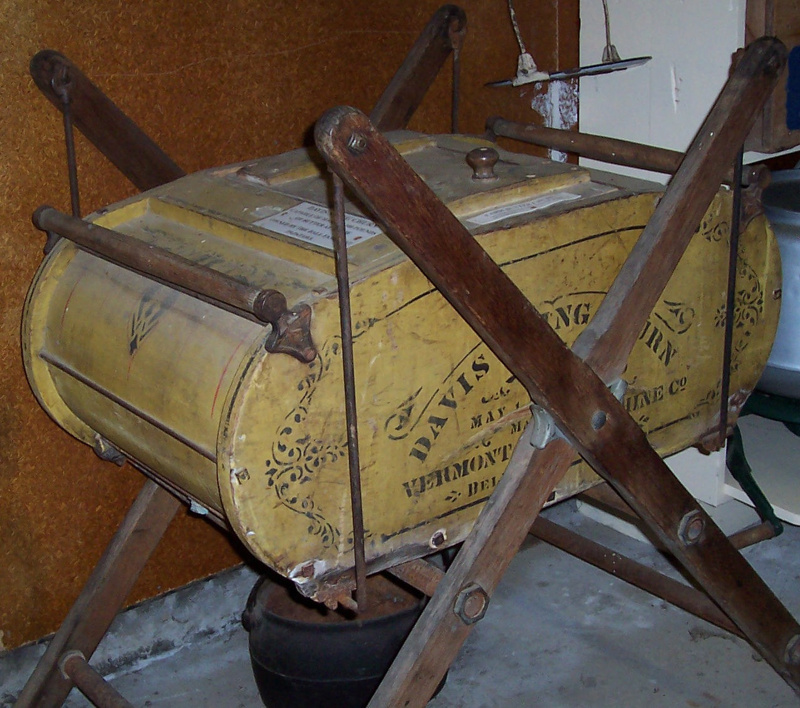 The American “Davis” swing butter churn, capable of making 100 pounds of butter, was patented in 1879 by Vermont Farm Machinery Co. This one was owned by the Ball Family, who farmed on Balls Road at Papatawa, near Woodville. Hi I am interested to know the size of your butter churn. Can you give me some dimensions or is there a size number on it. It looks similar to our one at the South Cantebury Museum in Timaru but our one has been painted. It looks like a size 2 which was designed to hold 10 gallons and make 5 pounds of butter.